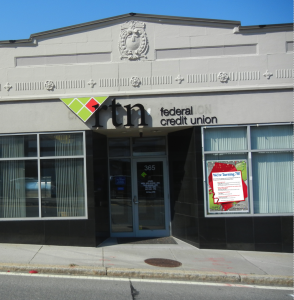 The RTN Credit Union Brookline branch is here to help you with your financial needs. We’re easy to find—just a few miles from the hospitals in the Longwood Medical Area. You can get to the branch by public transportation by subway (MBTA Green Line, D Train, Brookline Hills stop) and by bus (Bus #60, Kenmore Square to Chestnut Hill, Cypress Street stop—go to mbta.com for more information). We also have parking available in our parking lot right off Cypress Street.